With two young kids, today's theme of messy was quite easy. 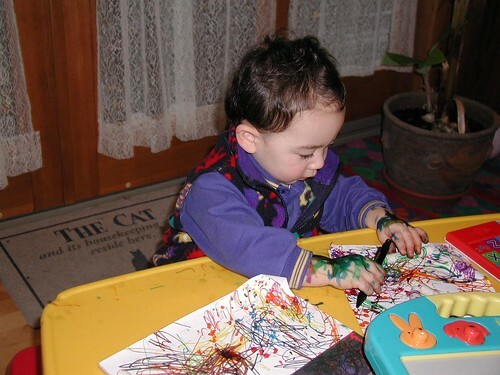 Here's Adam on his 2nd birthday deciding that markers are more fun on his hands than on paper. Of course, Dova felt the same way. This was taken when she was 2 1/2. Thankfully, they are both past this stage now. Happy New Year everyone!! 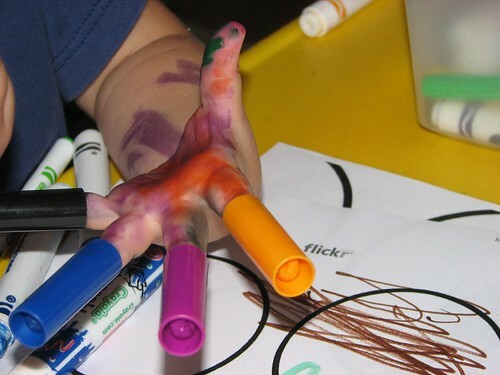 Oh, markers -- I even get messy using them, LOL! Your kids must be having fun to be messy. After all mama will clean them. No worries. Do come over and visit mine when you have a chance. That is messy! But he probably enjoyed the washing up. Cute guy making a mess..... next Piccaso? Mine is up as well.